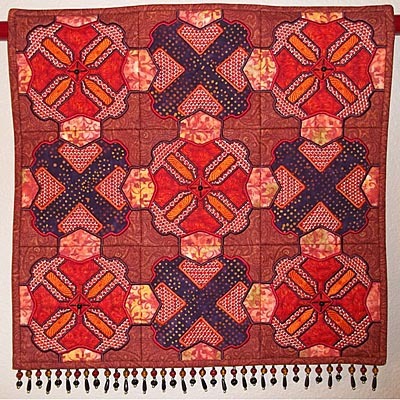 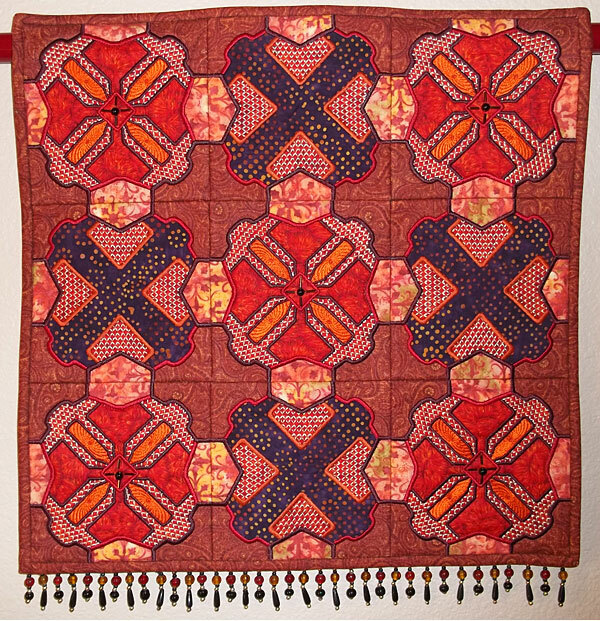 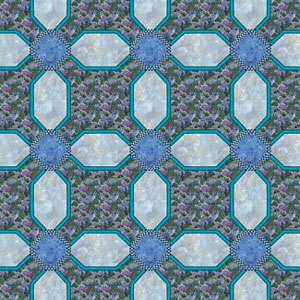 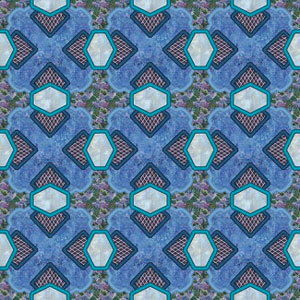 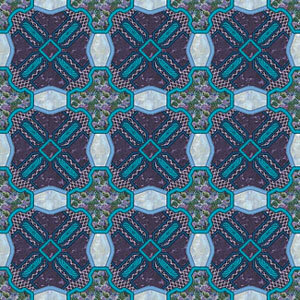 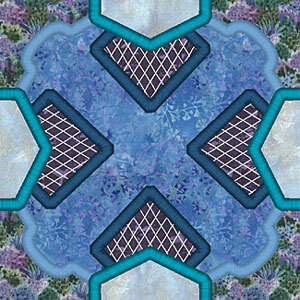 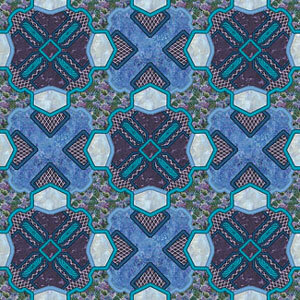 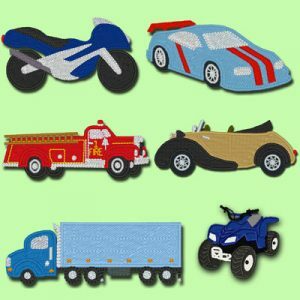 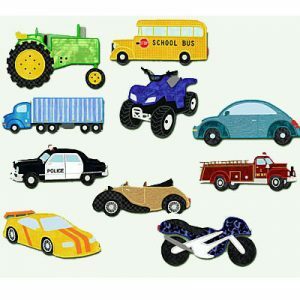 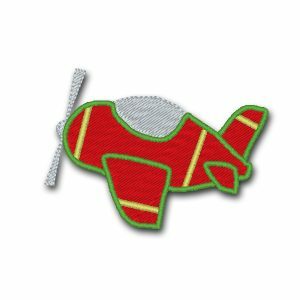 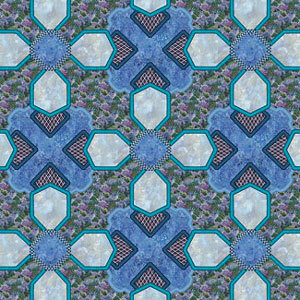 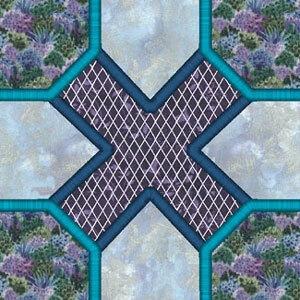 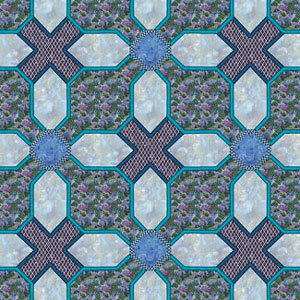 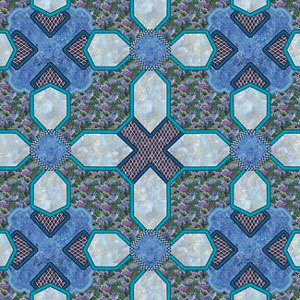 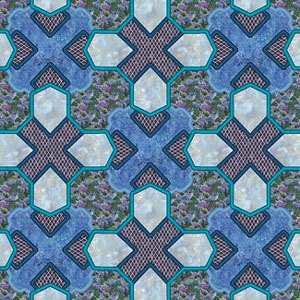 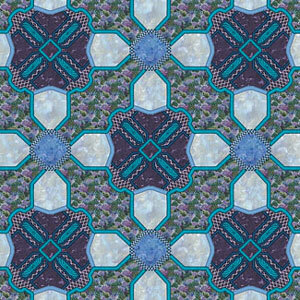 Quilt Tile Blocks Machine Embroidery Designs – A set of 4 blocks that can be used together to make any number of patterns or can be used alone. 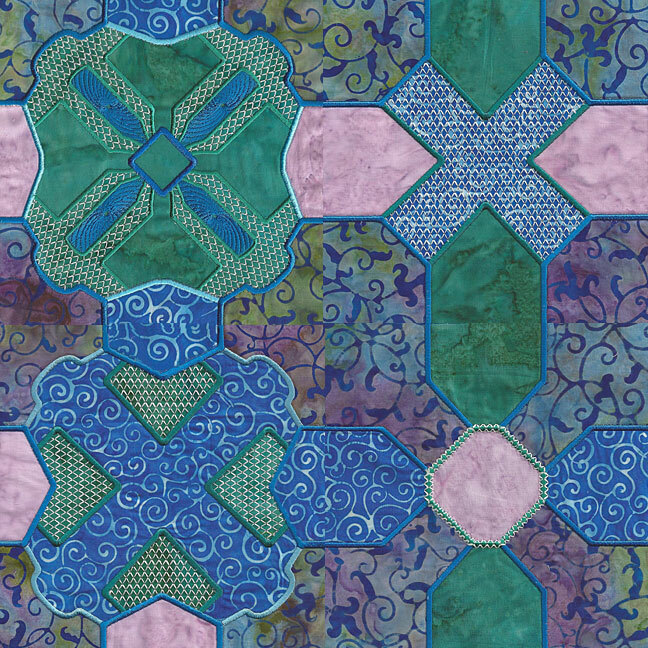 There are lace motifs on these blocks but they can easily be omitted by just skipping that step if you prefer not to have them. 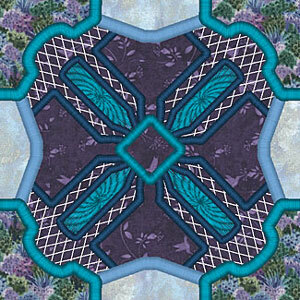 All tiles are applique so there is no turning and pressing etc. 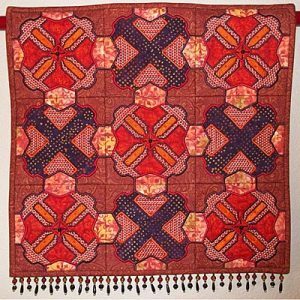 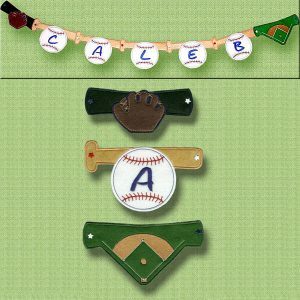 There are 2 sets of the same 4 blocks, one with a thin zigzag and a 1/4 inch clearance and one set with a full applique border. 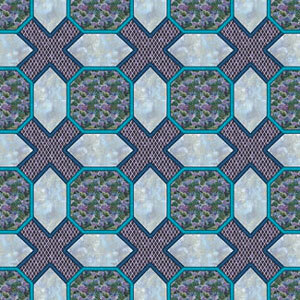 Samples of what can be done with block combinations.